I await the sequels Evilhear and Evilsee. The decade is changing over from the 70s to the 80s, and Happy Days is still on the air and a big part of the American mass media consciousness. Every knows who Ron Howard is, and he’s just started dabbling in movies. Problem is, you can’t get him for yours. What do you do? Hold on. Doesn’t he have a brother? He does indeed. Clint Howard is Ron’s younger brother, and in my opinion the better actor. He takes more interesting roles anyway. Case in point: Evilspeak , in which he plays an unpopular cadet in a military academy. That’s an understatement. Stanley is despised by some of the other students. He’s an easy target — orphaned, poor, clumsy, short, a bit chunky, and already balding. All of that except for orphaned, poor, chunky, and balding applied to me as a kid, so of course I identify with Stanley. That’s what makes this film so interesting. Because this is one of those horror films were the protagonist is the monster. Like poor Lawrence Talbot, you just can’t side against him even as he’s killing people. Unlike the Wolf Man, Stanley thinks he knows what he’s doing. Let me back up. See, Stanley gets punished for being the target of bullies, and he’s ordered to clean the cellar of the church on campus. 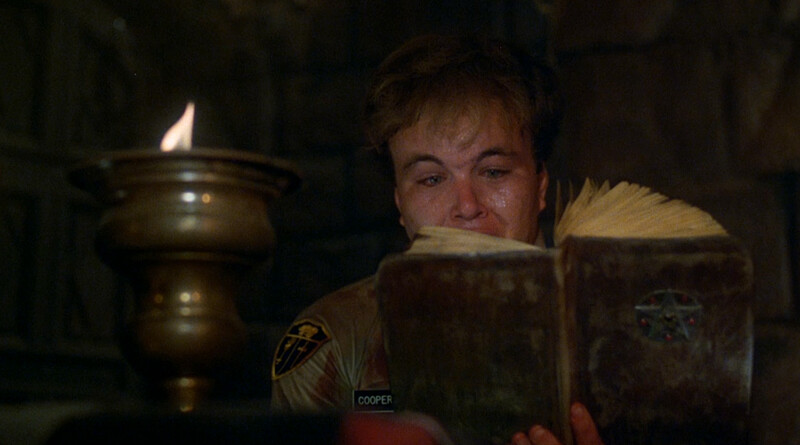 Nothing good comes from cleaning church cellars, and sure enough Stanley finds a hidden room and an ancient tome. Fortunately it’s in Latin, so he can’t do anything stupid like read it aloud. Too bad he’s a geek, who can make a crappy terminal computer translate it. It is, of course, a book of dark magic; left in this case by Father Esteban (Richard Moll), excommunicated from the Catholic Church and exiled from Spain centuries ago. Stanley’s terminal plugs into Esteban, and before you can say “angry nerd” Stanley is a dark sorcerer unleashing unholy Hell on campus. 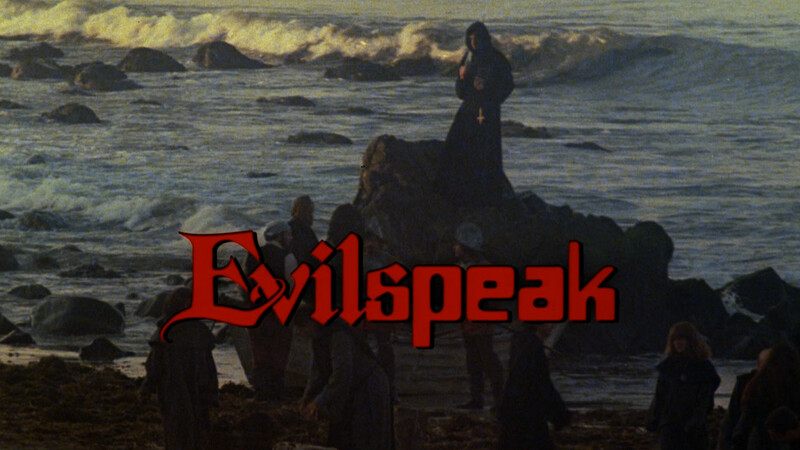 Evilspeak attained some notoriety from being on England’s “Video Nasties” list of banned films. It’s bloody and Satanic, and it’s impossible to take seriously. It is also quite a bit of fun, and better than you might expect from such an oddity. Just don’t watch it on your computer, though. You never know.